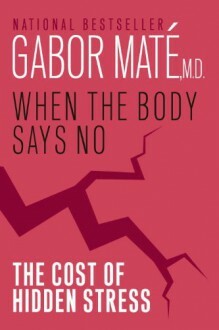 In this accessible and groundbreaking book--filled with the moving stories of real people--medical doctor and bestselling author Gabor Maté shows that emotion and psychological stress play a powerful role in the onset of chronic illness, including breast cancer, prostate cancer, multiple sclerosis and many others, even Alzheimer's disease.When the Body Says No is an impressive contribution to research on the physiological connection between life's stresses and emotions and the body systems governing nerves, immune apparatus and hormones. With great compassion and erudition, Gabor Maté demystifies medical science and, as he did in Scattered Minds, invites us all to be our own health advocates. I felt like this book was written about me. I saw myself on almost every page. Now if I could only figure out what to do about it.